This is my first sober Christmas in many years. And it's already hard. Change is hard. Growing is hard. Real life is hard. I know you know this. Normally Christmas is a season of to-do lists around here. But normal wasn't working for me. So as an act of radical self care, this year I am making a not to-do list. Feel free to join me. 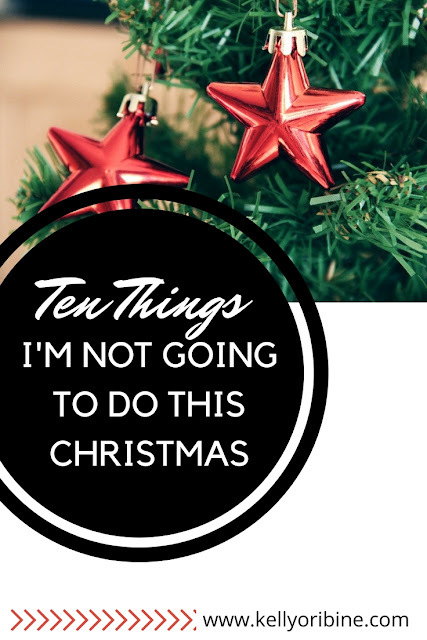 Here are 10 Things I am committing not to do this holiday season. 1. I am NOT putting lights on the house. Because I don't want to. 2. I am NOT sending out Christmas cards. Which means I'm also not buying matching outfits for all the kids, spending an hour trying to get a picture where nobody is crying or blinking or picking their nose, and then spending hours choosing a card design, writing in cards, addressing envelopes and standing in line at the post office. We did it last year, and we'll do it next year, I think every second year is a good compromise. 3. I am NOT signing up for everything or attending every event. Radical self care means balance. It means saying no. So my kids aren't in the church Christmas play, and we're choosing carefully what commitments we say yes to. What if we celebrated the holidays by slowing down instead of adding more to our already hectic lives? 4. I am NOT baking cookies for everyone and their grandmother. Having a cute bag of handmade sugar cookies for the mailman is a really nice gesture. But not this year. 5. I am NOT going to make all my gifts by hand. Because if I was, the balanced and sane thing would have been to start back in June. So I'm going to buy gifts instead of staying up all night cursing at my sewing machine. Trust me, this is best for everyone involved. 6. I am NOT going to try to be the world's best giver of gifts. And not just because we are going to be paying for my stint in rehab for the next decade or so. But because I don't need to buy the right to be in people's lives. They know that. I need to know it to. 7. I am NOT going to make everything look picture perfect. I'm laying down expectations and just letting things be. So what if the Christmas tree decorations aren't perfectly placed or the mantle isn't perfectly decorated, or the gifts aren't dolled up in luscious matching ribbons? Nobody looks back on their Christmas memories, disappointed in the holiday vignettes in the background. 8. I am NOT going to create a pinterest-y advent calendar full of Christmas activities for the kids. Sure we will read Christmas stories and watch The Grinch Who Stole Christmas and drive around to look at holiday lights. But not every day needs to be a production. Keep it simple, right? 9. I am NOT going to make a ridiculous list of households project to finish before our guests arrive on Christmas day. Nobody cares if the paint needs touching up in the living room or if the baseboards need dusting. Christmas day is not a deadline hurdling towards us with it's list of demands. 10. I am NOT going to expect everything to be sing-songy and joyous. Every year I set myself up for disappointment by wanting this time of year to be full of an absurd amount of peace and magic and joy. But life is messy. And that's okay. Here's what I am going to do: I'm going to drink good coffee and take hot baths. I'm going to curl up and watch movies with my kids and sing Christmas carols off key in my kitchen and kiss my sweetheart under the big plastic mistletoe. I am going to sweep floors and read books and write and swear and volunteer and cook and cry. And I hereby give you permission to do the same. What is on you not to-do list this year? Thanks for taking the load off! Amen! People don't want our stuff, they want us! They want to *REALLY* connect. Blessings on your simplified Christmas. There are some things that are hard about being away from our "other" home at Christmas, like missing family but one thing I LOVE is that in Honduras, none of those things are your list of "Not To Do" are expected. Sure we have some Christmas parties to go to and the kids will sing in the Christmas concert at school, but that's it! We have a two foot Christmas tree with some random ornaments, an advent calendar with the same chocolate soccer balls in it every day which will be exciting every morning to my kids! We'll buy our kids some stocking stuffers, like a new toothbrush and maybe some stickers, but no gifts. We're using Christmas money to go on a trip (ok spending Christmas on the beach is another plus, I admit it! ), and that's pretty normal Christmas-time celebrations around here. When we recently celebrated Christmas in Canada a couple years ago, we took a similar approach (minus the beach) and I somehow felt like a slacker as a parent and as Christian! 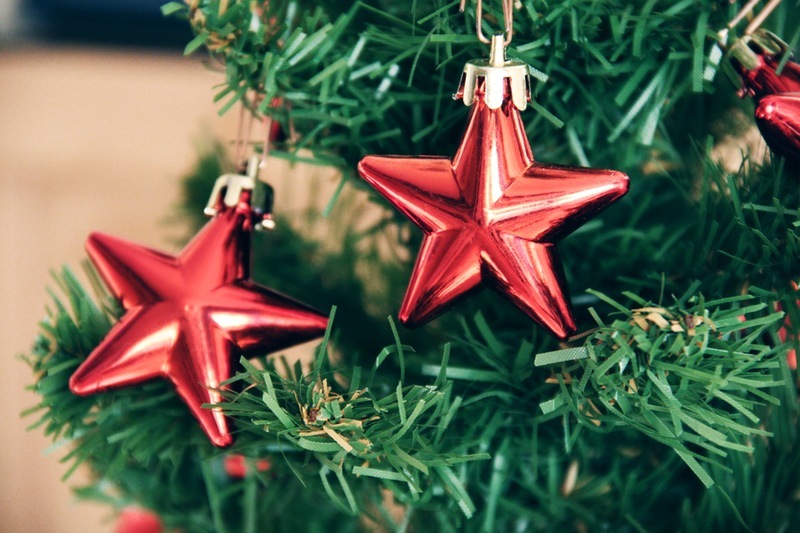 I realized though that if it's really about celebrating Christ's birth, very few of the expectations about Christmas actually pointed me, my kids, or anyone around me to Christ. So do it, Kelly! Throw off everything that hinders and make Christmas about celebrating Christ. And when that sneaky little voice tries to tell you that it means you're a failure because it's not all picture-perfect, remember the stinky stable that was fit for a King. Continue to question and throw out what the world (even sometimes the Christian world) tells you is expected and celebrate Christ who came to give us freedom, hope and the abundant life. Yes!!! If the King of Kings can be born into a stinky stable, I certainly don't need picture perfect Christmas decor. Thanks for reading and commenting, Esther. And Have great Christmas at the beach!!! I love this idea of Not, i.e. boundaries. I remember figuring some of this out in my own journey a few years ago. And, I remember the freedom (after the nervousness) during the holidays that year. And, I have loved remembering these things throughout the year and not just around the holidays. I'm a work in progress, but every attempt gets me closer and helps me stay more sane. Cheers to a Sane and Simple Christmas! Kelly, i loved this article. I too have a NOT list. I'm not putting up a tree, i'm not hosting a ton of parties, I'm not worried about having a perfect holiday. What I am going to do (without worrying about the wrapping paper :) ) is enjoy the day with family, and whatever happens happens. It is so much more peaceful knowing I have lowered my own expectations and keeping it simple. Blessings for a peaceful holiday season ! "Whatever Happens happens". Love it! Laying down expectations is key, isn't it? I think you've nailed it with the Not To Do List, and I will be joining you on this. A totally unstressed, low key Christmas that will be about good company, food, fun and games and not sweating the small stuff. Just started in fact, now watching It's a Wonderful Life, with the love of my life, and roasting foraged chestnuts on the fire, I kid you not. That's Awesome! Enjoy your low key Christmas!! I do put up my Christmas tree I light my fire in my fireplace I make a nice easy dinner . me guided me through his word he never let me give up and through him we now can have a happy family gathering this Christmas . Peace and love to your family and you love Meg.